“Life is like riding a bicycle. To keep your balance you must keep moving.” He wasn’t a super-cyclist and he certainly wasn’t a therapist. But he was Einstein. Wednesday is Pádraig’s massage-day. Soothing music and a relaxing massage. What a start to the day! Later on, in the early evening, Pádraig went to what must have been one of the best choir-led carol service, or Christmas concerts, ever. St Patrick’s College in Drumcondra was the host making it obvious why their music programmes are so well-known and well-respected. Pádraig hugely enjoyed the evening, the music and the first minced pies of the season. By contrast, I spent the evening attending a course in governance for charities, together with some distinguished board members of the An Saol Foundation. I won’t bore you with the details. Earlier in the day, however, I got a sneak preview of what our architects have been planning for the FABrík, the living lab and day centre we’ll be opening next year. They will present their ideas to the An Saol Foundation Board next week. What they are proposing is mind-blowing. It really captures the Dreamboaters’ spirit realising the most exciting, brightest, and energising space for life and living, for holistic neurological rehabilitation. It’ll change the lives of those being, living and working there. With all it’s highlights and lowlights, today was about living. About feeling, hearing, touching, smelling, tasting. About living and being alive. 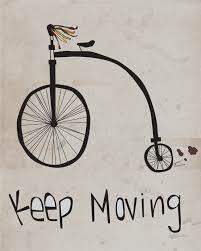 Keep moving, keep living.